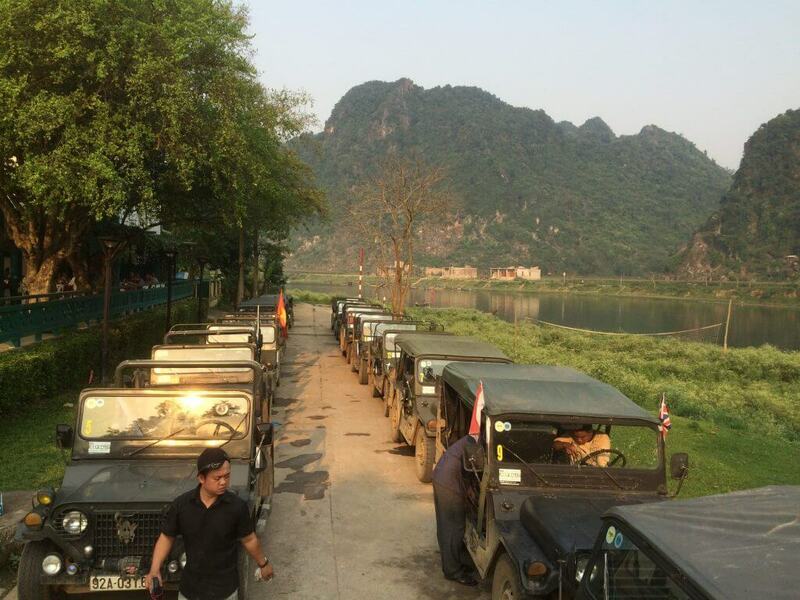 Classic Vietnam is our annual two week adventure in which participants drive either an ex US military Jeep, or a modern SUV, from Hanoi to Da Nang before taking a flight to Saigon to finish the trip. We provide you with the vehicle, full mechanical support and insurance. In common with all our trips there is no convoy driving. Instead you travel at your own pace guided by an easy to follow route book. 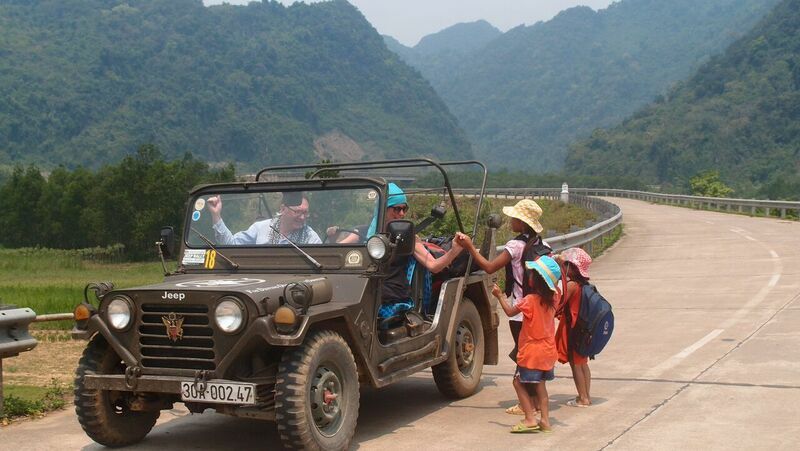 As well as visiting tourist spots, we also drive through parts of Vietnam that most visitors do not experience. 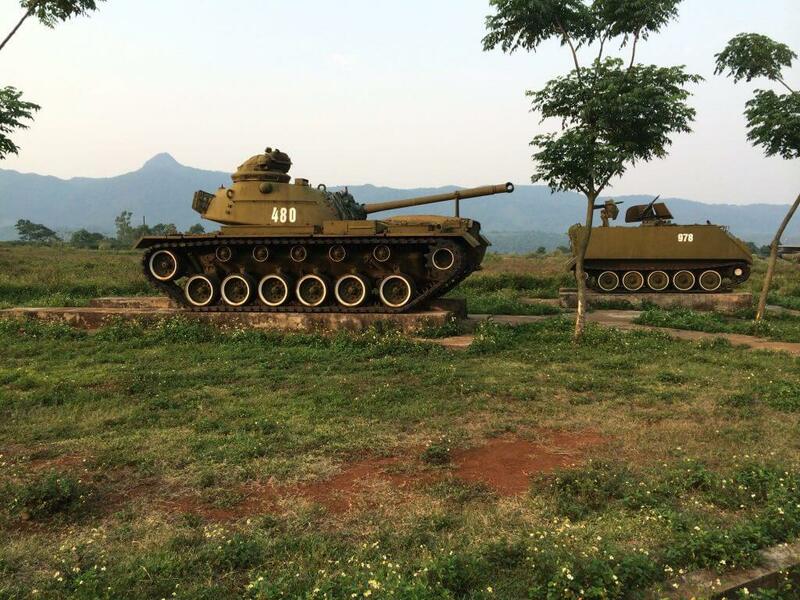 Our route includes four World Heritage Sites, passes a number of significant Vietnam War locations including Khe Sanh and Hamburger Hill and visits cities including Hanoi, Da Nang, Hue, Hoi An and Ho Chi Minh City. For years it was not possible for non residents to drive a four wheeled vehicle in Vietnam. That is why Clarkson and Co in their Top Gear special used scooters instead of cars. In 2012 we overcame the licensing hurdles and became the first in the world to run an event of this kind in Vietnam. 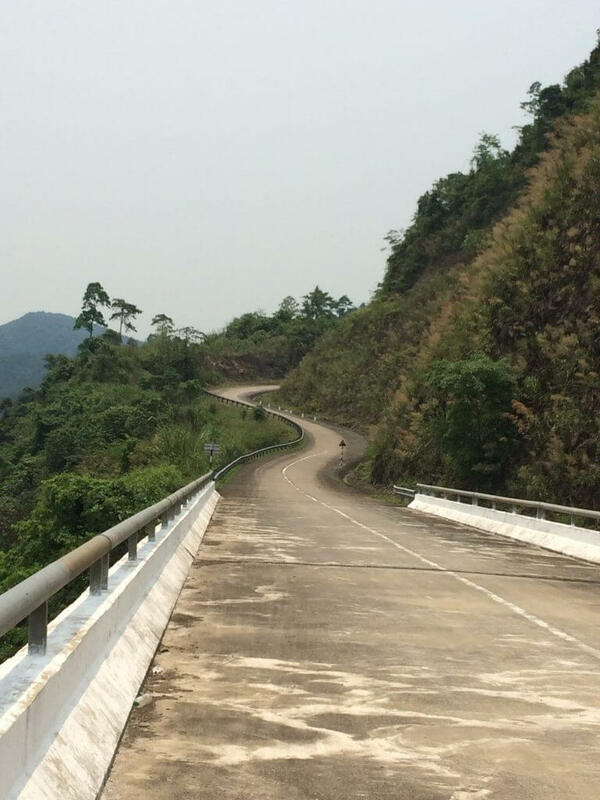 The route broadly follows the Ho Chi Minh Trail – the secret supply route used by the North Vietnamese to supply their troops in the south during the conflict. We stay in lovely hotels and in keeping with other events you will be provided with a detailed route book enabling you to travel at your own pace. As always, as well as several tourist hot spots, we will be visiting several areas not normally accessed by tourists. If you do not fancy driving a Jeep you have the option to drive a modern car or ride a choice of motorcycles ranging from a modern Honda trails bike to an old Russian 650cc Ural. 5th April – Overnight flight to Hanoi. 6th April – Arriving in Hanoi a car will meet you at Noi Bai airport and take you to our first hotel, which is in the centre of town within walking distance from shops, markets etc. 7th April – After breakfast we will be taking a tour of some of Hanoi’s principal sights. They’ll also be the opportunity to climb aboard motorcycle side cars for part of the tour. We start with a visit to the Ho Chi Minh Mausoleum then view the remains of a downed B52. After stopping for coffee at the War Museum we finish at the Hanoi Hilton – the old French prison where downed American fighter pilots were held captive. In the afternoon you are free so there will be time for a wander around the Old Quarter. In the evening we head off to another local restaurant for dinner. 13th April – Day Off Hue is the former imperial capital of feudal Vietnam and is an ideal place to relax, sightsee and chill after the driving to date. 15th April – A day off. Hoi An offers fine wining and dining, impressive architecture, fantastic tailoring, endless shopping and a great beach, so you will not be short of things to do. 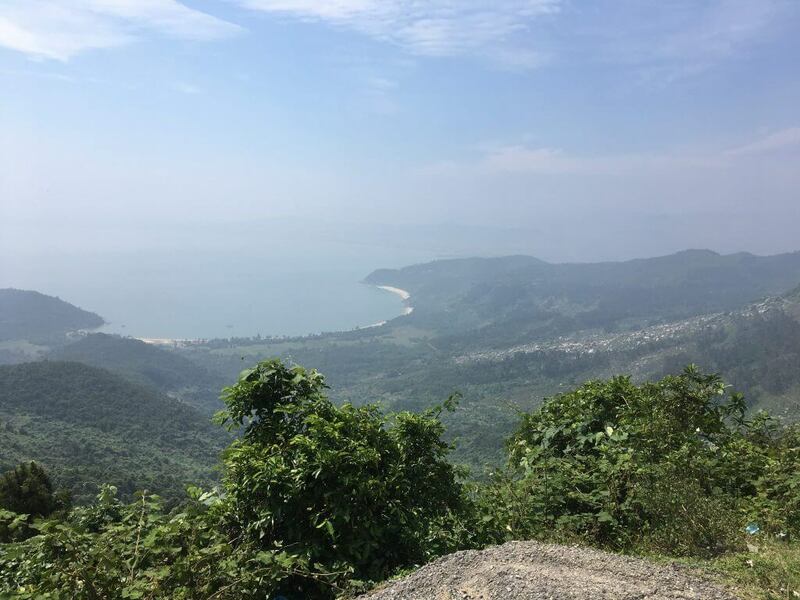 16th April – This is our last day of driving and what better way to spend it than cruising up a fabulous coastal pass made famous by the BBC Top Gear Vietnam Special. After a lunch and a swim we catch an afternoon flight to Ho Chi Minh City (Saigon). 60 miles. 17th April – Saigon – Ho Chi Minh City is the bustling commercial heart of Vietnam, and site of the former South Vietnam Presidential Palace. In the morning we will take a tour of the sites by cycle rickshaw leaving the afternoon free. In the evening we will head out to a lovely restaurant for our end of event meal. 18th April – Transfer to the airport for the flight home. £3695 per person based on two people sharing a vehicle and accommodation. The cost excludes flights. Motorcycles (Ural 650 or Honda CRF 250) £2695 per rider & £2450 per pillion. Entry fees to all museums/parks/places of interest etc. Where do we go? Click on this link and you will see a map of the route. The tour spends most of the time on quiet rural roads with little traffic. On several days there is no driving giving you plenty of time to relax or explore. How difficult is the navigation? As with all our tours we provide you with a detailed, easy to follow route book and back it up with a map. What is the standard of accommodation? We always stay in quality hotels. In some of the locations we visit there simply aren’t four or five star hotels but in these locations we will use the best available. As you would expect all the accommodation is en-suite. What vehicles do we use? In the main we use ex US military M151 Jeeps. We have a small selection of other vehicles which are available if you prefer not to drive a jeep. In addition, if you prefer to ride a motorbike we have Honda 250 CRF’s or Russian 650cc Urals. How long is the trip? The total final trip mileage is just short of 1000 miles. Are meals included? Dinner is included every night of the trip except for the three days off in Hue, Hoi An and Saigon. Lunches are included on all the driving days. Will there be much off road? All the driving takes place on tar roads. There is no extreme 4×4 driving. What about personal security? Vietnam is a safe country for travellers and you will find everyone friendly and welcoming. How do you get there? From the UK the flight options are either direct with Vietnam airlines or with a stopover in Asia or a stop over in Doha, Dubai or Abu Dhabi. Contact us for options from other locations. What is the food like? Excellent. Vietnamese food is distinct and unforgettable. It tends to be more flavoursome than other Asian countries with a definite mix of salt, sweet sweet and sour. Dishes tend not to be spicy as chilli is usually served on the side. What is the weather like? In March/April the weather is ideal. Warm enough for shirt sleeves and shorts but not roasting. Why come with us? It is not possible to organise your own self drive trip in Vietnam. When the BBC visited with Top Gear they were not able to obtain driving licences which is why Clarkson and Co rode scooters, instead of driving cars. It took us several years before we were able to overcome the licencing hurdles and we believe we are still the only UK based company offering self drive in Vietnam. During the tour we sweep the route meaning if you do have a problem we will find you and help you. Even if you just have something as simple as a puncture, how nice it is to sit in the shade while the tyre gets changed for you. We provide you with a local sim card meaning you can contact us at anytime during the day if you need help. Driving a 50 year old vehicle, that took part in a conflict a generation ago, is a unique experience. The M151 Jeeps are now status symbols in Vietnam and highly sought after. Even though we accompany the tour, you are free to do your own thing and travel at your own pace but, if anything goes wrong or you need help, we are there to provide it. On every tour we will deliver the best holiday we can – that’s why over 85% of participants travel with us more than once.